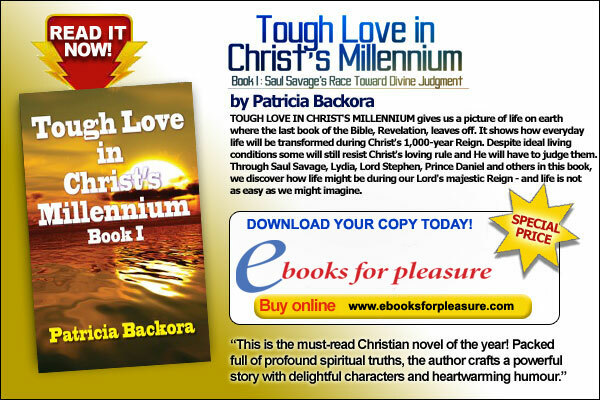 Tough Love in Christ’s Millennium gives us a picture of life on earth where the last book of the Bible, Revelation, leaves off. 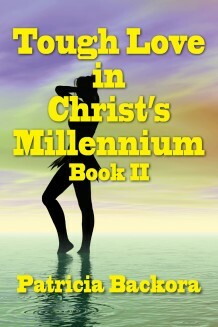 It shows how everyday life will be transformed during Christ’s thousand-year reign. The story depicts a long respite from sickness, street crime, war, and other sorrows, as well as liberation from the curse of death that had resulted from Adam’s sin against God in the Garden of Eden. Happiness, not tragedy, will fill the lives of God’s people who love and serve Him. Satan won’t be around to tempt anyone to sin, although Kingdom Age mortals will still retain their Adamic sin natures until their final glorification. Despite ideal living conditions, some will still resist Christ’s loving rule and He will have to judge them. Through Saul Savage, Lydia, Lord Stephen, Prince Daniel and others in this book, we discover how life might be during our Lord’s majestic reign — and life is not as easy as we might imagine.